Dating these days can be quite tough, considering one does not get much time to socialize and meet new people owing to the hectic schedule. Dating apps can make things easier for. You will come across plenty of Matchmaking Sites in America. However, which app can be relied upon is a tricky question. We are going to make things easier for you by providing you with some information about the online dating apps that you will find worth a try to find a date. 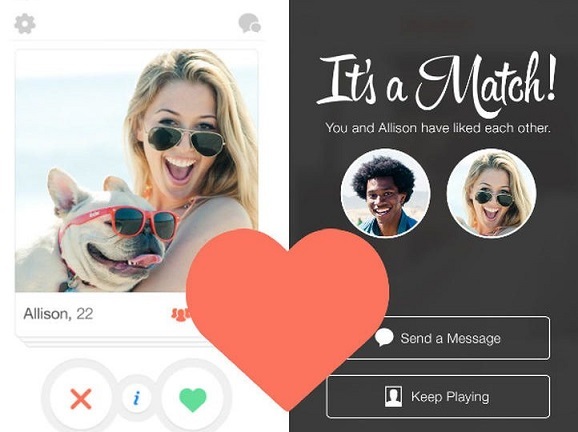 This is perhaps the most famous and user-friendly dating apps these days. There is an age restriction on Tinder wherein the user needs to be above 18 years of age. This is another quite popular option out there. Once you create a username, you are required to fill a long profile which can be linked to your Instagram account. While answering the questions, you can also fill what you would like your partner’s answer to be. This can be used to check compatibility between the users. If you want to begin browsing, you will find the “matches” option on the slide-out menu which will give you a list of people who might be according to your preference. Liking a profile is also an option, and you can also send messages. One of the problems with the app is that anyone can message you. For this app, you will have to log in via your Facebook to create a profile. Once your profile is ready, and you are put in what your preferences are, a few “bagels” will be sent to you every day, which are your potential matches. You are given 24 hours to decide whether you want to give this one a try. If you like the bagel and vice versa, you can message each other in a private chat. The chat room expires within eight days. Similar to Tinder, this app is also very reliable if you are looking to meet someone. It makes use of your Facebook friends to find connects. It shows people who might be linked to your friends by a long shot and has the same interests as you. For this, you are required to answer some questions. The questions are yes/no based, and you are required to swipe left or right based on your answer. This makes answering them quite fun. It often happens that you do not realize when you cross paths with someone who just might be the one for you. This is where Happn steps in. This dating app shows you profiles of people along with the last time and place you were near each other. The charm button has to be pressed to let the other person know you are interested in them. You can chat with the person you match with. The setup is easy, and you will not have much difficulty in setting up the profile. How to Know He’s the One(100% Match) ? How do you understand falling in True Love? Should you stay friend with your Ex (6 reasons)? What happens in the body when we fall in love?